Hallmark Movies & Mysteries announces Emmy® Award and Golden Globe Award winner Tom Selleck will return as the popular Jesse Stone in the ninth installment of the famed movie detective series “Jesse Stone: Lost In Paradise,” slated to premiere exclusively on the network in Fall 2015. The movie, produced by Brandman Productions, Inc.,TWS Productions II and Sony Pictures Television is in pre-production in Halifax, Nova Scotia. The popular Jesse Stone films, based on the bestselling books by Robert B. Parker, chronicle the cases of fictional Police Chief Jesse Stone of Paradise, Massachusetts, a respected and well-liked cop whose life is complicated equally by alcohol and his relationship with his ex-wife. “Just about anywhere I go, people come up to me and ask ‘When can I see the next ‘Jesse Stone?’ Thanks to Hallmark Movies & Mysteries, I can happily say it’s coming soon,” said Selleck. In “Jesse Stone: Lost In Paradise,” Paradise Police Chief Jesse Stone agrees to help the Massachusetts State Homicide Division track down a brutal serial killer. Previous installments of the “Jesse Stone” franchise have aired on broadcast television. 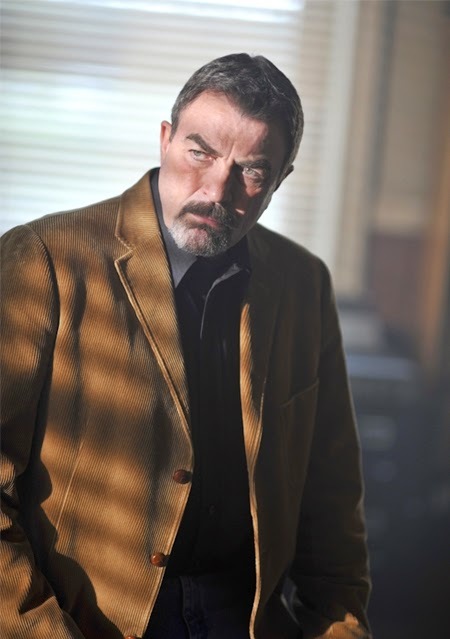 Hallmark Movies & Mysteries has been the home of cable premieres of “Jesse Stone,” which produced some of the network’s top ratings. This is the first time “Jesse Stone” films will be made exclusively for air on Hallmark Movies & Mysteries. “Jesse Stone: Lost In Paradise” is produced by Brandman Productions, Inc. and TWS Productions II in association with Sony Pictures Television. Michael Brandman and Tom Selleck are the executive producers. The screenplay, based on characters created by Robert B. Parker, was written by Tom Selleck and Michael Brandman. I think this is fantastic news! I first heard about it in early January and was thrilled. Tom Selleck is a wonderful actor, (*Magnum P.I., 3 Men & a Baby, Blue Bloods, etc...*) and mystery is an ideal format for him... which perfectly suits Hallmark Movies & Mysteries! Unfortunately, I am not familiar with all the 'Jesse Stone' movies, but I do look forward to seeing this all new adventure, in the 'Jesse Stone' series - coming this fall! Have anxiously been awaiting the next movie in this wonderful series of mystery and suspense. His career has and continues to be one huge ride and one I foresee has no plans for slowing down. I was a huge Magnum PI fan, which was popular when I was in college. I even dated several guys with mustaches. None were quite Tom Selleck, though. Anywho, Blue Bloods is a great show and I have seen and loved all the Jesse Stone movies. This is wonderful news, Net. Now if they would just bring back Kellie Martin in the Mystery Woman series! Kristi N. OMG...Yes! I thought I was the only one who wanted new Mystery Woman movies...that would be awesome! I have seen all the Jesse Stone movies, and they are top notch mysteries. Following your blog and knowing how you love mysteries, too, I'm positive you would like them all. Can't wait to see #9! One word...YEA!!!! with a heart on top!! That's great to know! Thanks as always. Good to know. Love him in those movies.Looking forward to seeing anew one. Hope you will show all of them again. I think I missed a couple.